It is a dream for every girl to have a well toned and perfect figure. If you are really serious, you can also have such a body with a little time, commitment and dedication. Here are some tips that will help you achieve a perfect body. The diet you follow must be in accordance with your needs and requirements. What worked for one person may not work for the other person. So, have your own diet plan and follow it. Have lots of water, this will help in keeping you full. Have fruits and vegetables rich in fiber and nutrients. Instead of having snacks like chips and fried items, have them in the evening when you feel hungry. The time you have your food is equally important as what you eat. This helps in keeping you healthy. Have your dinner at least 2 hours before you sleep. Instead of having large meals two or three times a day, have small meals 4 or 5 times a day. This will reduce your craving for food. Have your food on a small plate. If you put the same food on a large plate, you may feel that you are eating less. So, try to use a small plate. This really works. Consume stir-fry dish or salad without any unwanted sauces or dressings. If you like to have something sweet after dinner, you may have fruits to which a little honey is added. This is healthy. Skipping meals is not good. It makes you starved, and at the end you will start eating everything that you can get your hands on. 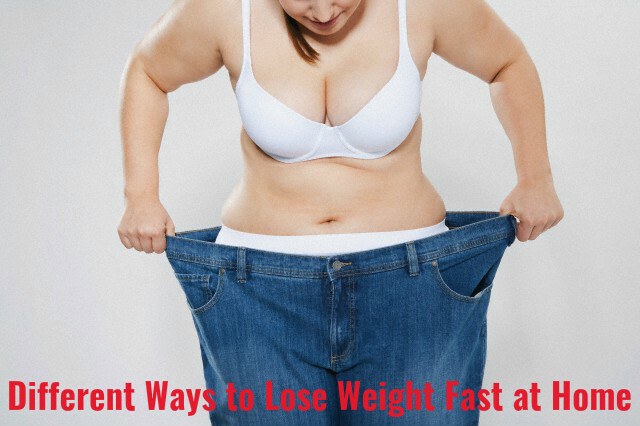 This makes you gain weight rather than lose weight. Starvation also makes your body deprived of nutrition and this can cause health problems. Sometimes, when you feel thirsty, you may think that you are hungry. At such times have a glass of water or fresh juice. If you are still not satisfied, then you can have a light snack. The food we make at home is healthier as we make it with care, adding only healthy ingredients. So, instead of eating out, try to make food at home as much as possible. This does not mean you can have anything. Out of the healthy foods you choose, you can have what you love to eat. Have you favorite fruit, vegetable and so on. Some eat more when they are happy, sad or depressed. Emotional eating is not healthy. Have a control over what you eat when you are emotional. This will prevent unhealthy eating and keeps you fit. Diet has an important role in helping you lose weight. 80% of your fitness is decided by your diet and only 20% is decided by the exercise you do. Before you start measures to lose weight, you must make a note of how much weight you want to lose. This depends on your height, age, health and bone structure. Remember that it is a gradual process and will take time. Now make up your mind and stay committees to it. When you make a stir fry dish, use tofu paneer instead of normal paneer. Be true to yourself and note every food you consume along with the quantity. Understand how the food is made; whether it is grilled, boiled, stir-fried, steamed or just fried. If fried, check how much oil was used. Most important of all is to stick to your food journal. Note down everything you eat. You must know what food is rich in each nutrient that is essential for you and eat accordingly. Soybeans, hot peppers, spices and fish are good for improving your metabolism. Oats, lean meat, rice, pulses, fish, strawberries, bananas, raspberries, sprouts etc are rich in fiber. Oranges, red bell peppers, broccoli, raisins, berries, cherries etc are rich in antioxidants. It may sound weird, but it really works. When you make a note of whatever you are eating for a week, then you will be aware of what you are consuming and what food you have to replace to become more fit. By sharing your servings, you tend to eat less, especially if you are offered huge servings. Have plenty of water. You may also have smoothies, but take care not to ad too much of sugar. Avoid packaged fruit juices, cold drinks, alcohol and so on. It is important that you exercise daily, along with the diet you follow. Start with simple exercises and then you can proceed to do harder ones. Jumping ropes, squats, cardio exercises etc are good for you. You can even set a gym at home. Walking is also good and keeps you healthy. Always remain active and motivated. If you have close friends who are also trying to lose weight, pull them in and get going. This will help in motivating you and keeping you on track. Every time you reach a milestone, reward yourself. This will keep you motivated. Through away over sized dresses and get clothes that measure an inch or two lesser. This makes you work consistently so that you can fit into the dress. Check your weigh daily and see whether you are losing weight. This will let you know whether you are on the right track. If there is a sudden increase in weight over a week, it means that some correction is needed in your diet and exercise.